There are so many things that you can automate using IFTTT. For example, every time you post to your WordPress blog you can have it: tweet your post to twitter, publish your post on your facebook page (and/or wall), share your post on linked in, post it to tumblr, archive it in Evernote or OneNote, etc. You can create your own recipes from scratch (the sky’s the limit) or you can use recipes that others have shared. Right now there are 1,341 recipes for WordPress on IFTTT! You can also create recipes that trigger events in WordPress including: photos in dropbox folder auto posted to WP, post your YouTube videos to your wordpress, post to wordpress whenever you add a picture to Instagram or Pinterest, etc. All of this is absolutely fantastic and I can’t say enough good things about how much I love IFTTT. Except when it can’t connect my WordPress channel, a problem that apparently a whole lot of people are having (just google it). Have you gotten this dreaded error message every time you try to connect the IFTTT WordPress channel to your WP blog? It’s incredibly frustrating, because obviously you’re giving them the valid URL to your WordPress site AND you know you’ve given the correct username and password. If you’re in this boat, chances are you’ve tried repeatedly to get it to work, all with no luck, and gotten even more frustrated. I’ve got numerous IFTTT accounts (one for each WP site) and had never before had any problems connecting the WordPress channel to my IFTTT account. Until now. All of a sudden my site launch came to a screeching halt – I didn’t want to publish my posts until I knew they would also be automatically published across all of the other social media channels I’m using to promote CraziestProducts.com (because you won’t believe the wild and weird stuff they sell on Amazon.com!! ), one of my latest sites that I’m looking forward to growing. Make sure XML-RPC enabled on your site. XMLRPC is used for remote publishing. Some wordpress security plugins intentionally disable XML-RPC and if yours did, change the setting b/c IFTTT uses XML-RPC to connect to WP. ALSO, your webhost might be blocking xml-rpc.php since it’s an easy WordPress DDOS attack vulnerability. If this is the case you’ll have to ask their support to enable it for your site. Does your WordPress site have a static page set up for your homepage? In Settings|Reading, in the section for Front page displays, in addition to the Front Page you need to also set up the “Posts page” setting to point to your blog. If you then use the URL to this Posts page as your Blog URL in IFTTT, usually you can now connect the wordpress channel w/o problems. I thought this was the cause of my problems, but switching to the URL of the blog portion of the site (b/c WP is a CMS, too) did not help one bit. Sometimes it’s due to a plugin conflict. I know this is a complete PITA but if you’ve gotten to this point and it still isn’t working, disable all of your plugins and see if you can connect. If so, then re-enable them one at a time to see which one is the problem. 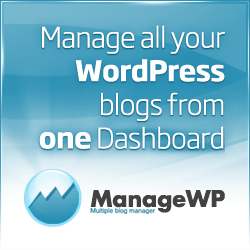 Once you figure out the wordpress plugin that’s causing the conflict see if you can find a different plugin that has the same functionality (there are so many options in the wordpress plugin repository) – hopefully that one won’t cause a conflict! So there you have it – 6 ways that have worked for a lot of people to fix their problems connecting their IFTTT WordPress Channel. The irony here is that none of these fixes worked for me with this particular site. If you were me, I’d suggest connect IFTTT to your RSS feed instead as a (crappy) workaround, but that won’t work for me as there are certain categories that I do not want published on the FB page or Twitter! Hopefully @IFTTT support can help expedite getting this going!!! If you had this problem, did any of the suggested fixes work for you (and if so, which one)?